6.3 Potted or Directly Into the Ground? When it comes to cooking, herbs are often the icing on the cake (figuratively speaking of course). 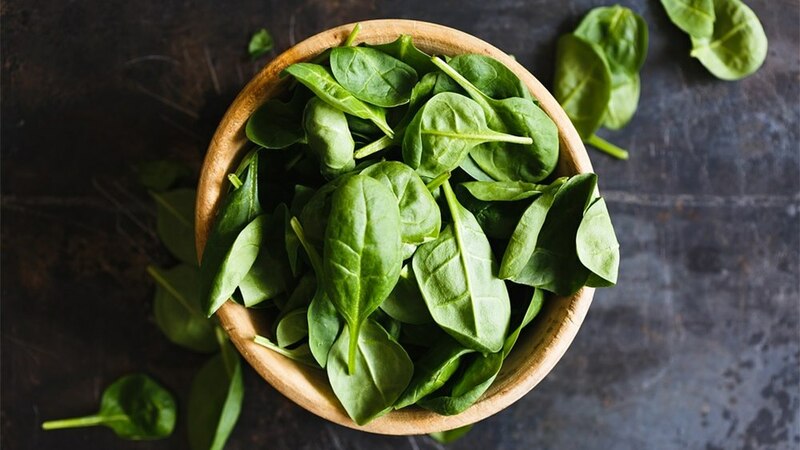 As a gardening blog we can’t offer much advice on cooking herbs, but in this article we’re going to share some of our favorite herbs that you can grow in your garden. Later on in this post we’ll offer some guidance on how to grow herbs in your garden, but for now let’s get down to business. Here’s our list of the best herbs to grow in your garden. To start off we’ve gone for a herb that’s perfect for those of you looking to start with something simple. It requires very little maintenance and is relatively straight forward to grow. Chives are a herb with an onion scent, suited to dishes that require subtle extra flavoring such as soup or salads. When it comes to introducing these into your garden, they’re great for edging borders as they’re condensed growers. We’d recommend sticking these somewhere that’s exposed to the sun or has a little shade. 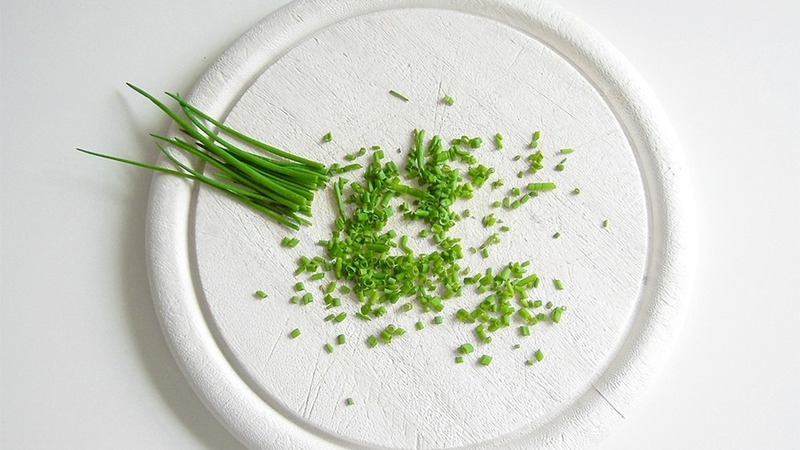 Chives are typically grown for their nutritional value, rather than aesthetic appeal. 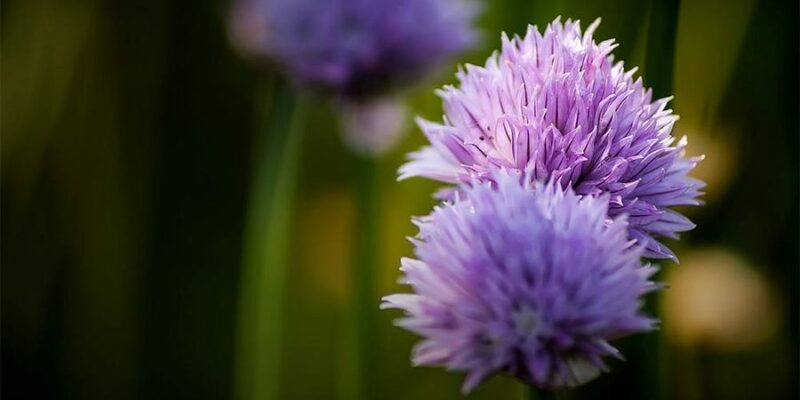 Although if you’re new to chives, you’ll be pleasantly surprised to know they produce a beautiful looking pink/purple colored flower as seen below – enough to brighten up even the dullest of vegetable patches! Whether you decide to plant in a pot or vegetable patch, planting chives is really simple. All you need is loose and well drained soil. If you’re unsure, you can always use a soil moisture meter to check your growing conditions. The act of planting involves clearing a quarter inch worth of soil and sprinkling your seeds closely into the dip in the soil. Positioning seeds closely together will help create a thick clumped group. Keep your chives well-watered and you shouldn’t have any trouble with their growth. Within weeks, you’ll be impressed by how quickly your chives have grown. If you’re keen to get in the kitchen, you’ll be ready to harvest them by the time they’re just six or seven inches tall. Simply cut them with a scissors and before you know it, the next batch will be ready! If you’re looking for something summery, we’ve got just the herb for the job. Bring a taste of the Mediterranean to your garden, with a herb suited to dishes such as pizzas and pesto sauces. Typically, basil can only be successfully grown outdoors in a hot climate with plenty of sun. For most of us, this means we’re limited to growing it during the summer months. However, basil can be grown indoors all year round. We’d recommend positioning basil in a spot that has about 6 hours of sunlight per day. You can plant your basil in the ground, or leave it potted on your patio. If we had to choose, we’d probably lean towards planting potted basil. An advantage of this approach is the ability to move it away from the shade of fences and hedges. This is especially useful if you struggle for sunlight during the summer. Another benefit of potting is that you can move it indoors as the colder weather sets in. This is especially useful if you’re looking for year round supply. Make sure to evenly disperse the seeds and if you do choose to pot your basil, make sure the pot has plenty of drainage. Making sure the soil is well drained is key to preventing issues further down the line such as root rot. Basil is another herb that’s pretty simple to maintain. It needs moist soil but it’s really important you don’t over water the herb. Frequency of watering depends on your climate and drainage. Some might find they need to lightly water basil every four to five days, while others can do so weekly. When it comes to harvesting, we’d recommend harvesting the leaves carefully, without stripping the entire plant. This is key to maintaining a regular supply of basil. Here we have a herb with a variety of uses. If you’re a fan of herbal tea or lamb with mint sauce, having your own mint supply could prove handy. Like the previous choices on the list, mint is very easy to grow. In fact, it might even be too easy, given its ability to spread very effortlessly. When it comes to introducing mint to your garden, we’d recommend growing it in a pot or a container. This will help prevent its aggressive tendency to spread. Keeping it in a pot can also mean it’s easily accessible when you need to pick some. If you’re adamant on planting this directly into the ground, you could always plant the mint in a large container which you submerge deep into the soil. You’ll need to be careful to keep the top of the container above ground level. This will help to stop the mint growing over the top and rooting outside of the container. When it comes to the upkeep of your mint plants, you’ll need to make sure they get plenty of water. A top tip for encouraging growth during the spring and summer months is to add liquid plant food. You can harvest the leaves as soon as they’ve grown and doing so will promote new growth. 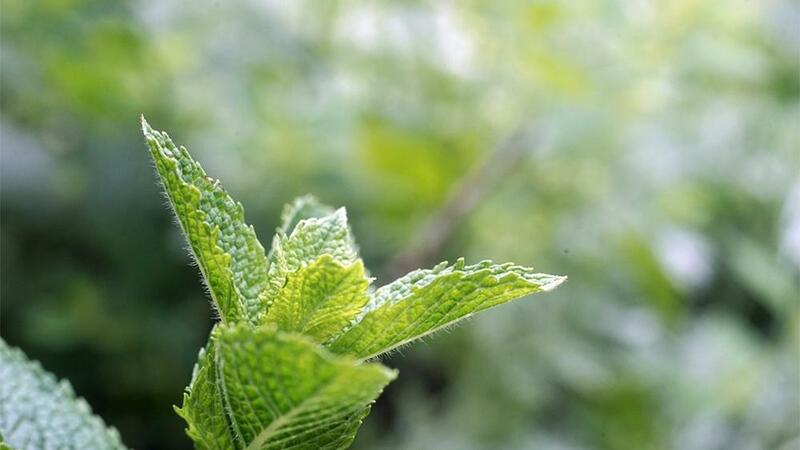 Mint can be a very useful herb to grow yourself, but remember it’s one that can spread very quickly! Next up on the list we’ve got a herb that’s mostly used for garnish and is very famous in Britain for it’s sauce. Parsley is a herb that’s commonly available with curly leaves but also has a flat leaved variation. 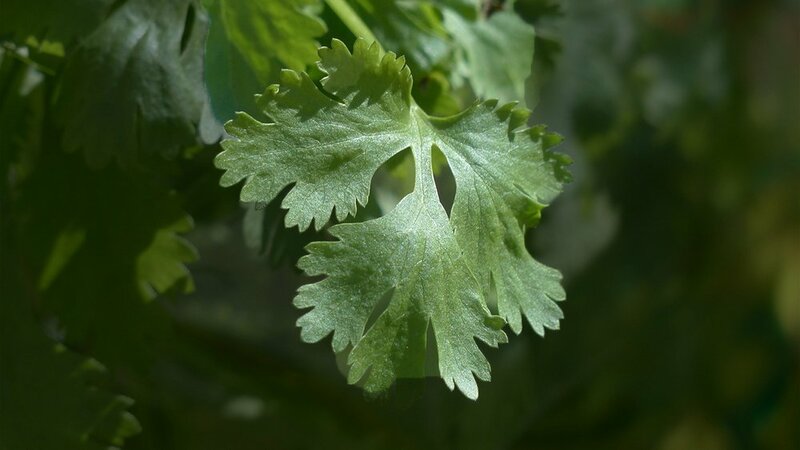 As you may be able to tell from the leaves on flat leaved parsley, this herb is a member of the carrot family. Parsley isn’t a quick grower, with the seeds taking up to a month to germinate. The soil’s moisture and temperature affects the time this process takes, with warm soil preferable. When it comes to sowing parsley outdoors, the best time is between the spring and early summer months. Make sure that the soil you use is well drained. A sunny area would be best for your parsley, but if this isn’t possible you’ll be pleased to hear that it’s tolerant to light shade. Once your soil’s ready, you’ll want to make small trenches of around a centimetre or two to put the seeds into. Once you’re done sowing, cover the seeds up and water lightly. When growing the parsley, it’s important that you keep it well watered. We’d also recommend applying liquid fertilizer every few weeks to try and enhance growth. Be cautious of the lower shoots as these can start to turn yellow. If you come across any of these, make sure you cut them off gently to encourage new growth. When it comes to harvesting, don’t expect a quick turnaround. Parsley can take up to 90 days before it’s ready to harvest. When the time does come for harvesting, group the stems and snip them at the ground level. Last but not least, we have a herb that’s not just a great addition to your garden, but also to salads and curries. Its cilantro leaves make it a great addition to a variety of Asian cuisine, as it’s a popular feature in Chinese, Indian and Thai dishes. If you’re looking for a continuous supply of coriander, this is one of the more high maintenance herbs on our list. This is down to the fact you’ll need to sow it at regular intervals, every 6-8 weeks to achieve a constant stream. If you’re sowing coriander specifically for its seeds, you’ll want to grow at a fair distance of around nine or ten inches apart. If you’re sowing young plants, the distance can be less sparse. A distance of around three or four inches apart is adequate. You should sow the seeds into moist and well prepared soil between the spring and later summer months. Sowing between March to August would be our ideal choice. With coriander, caution is critical when it comes to watering. It won’t cope if the soil is dried out, but it’s still susceptible to the dangers of overwatering such as root rot. A light general liquid feed every few weeks will go a long way in promoting growth and helping you achieve a constant supply. 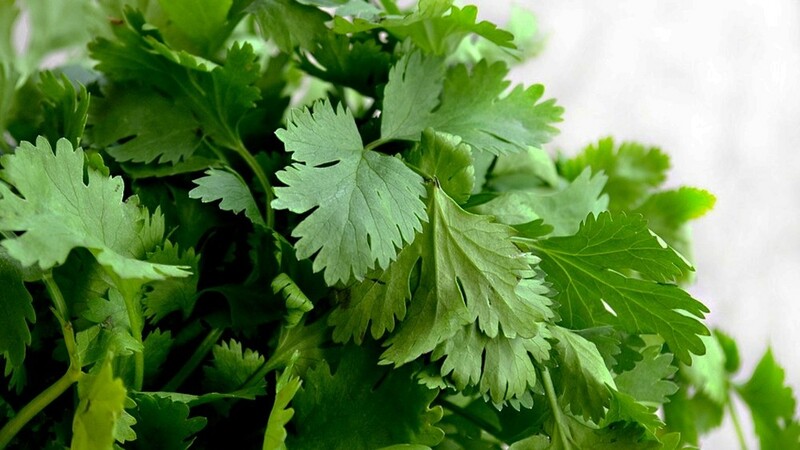 Growing coriander is a beautiful thing with its production of vibrant, luscious green leaves. You’ll be ready to harvest when the growth reaches 4 inches or over. It’s important you know how quickly the herbs in your garden will grow. This will help to give you an idea of how much maintenance your herb garden needs. These can be separated into perennial, annual and biennial. Perennial herbs grow slowly and need some stability in terms of their location. Annual and biennial herbs are fast growing. If you’re looking for a permanent supply, you’ll need to sow annual and biennial herbs fairly frequently. In the lists below we’ve broken down the herbs we’ve gone through in this article. We’ve also listed a few additional herbs just for your reference. For herbs to grow, will need a fair exposure to sunlight. You will find that some herbs can manage in light shade. Mint, chives and parsley are great examples. If you can find a nice sheltered location for your herbs, this will provide protection against the elements. Although the need for shelter does depend on your climate. When it comes to planting, you’ll need treated soil with the debris removed. You’re going to need to make sure that the soil has good drainage and isn’t too damp, as this can cause root rot. Generally, herbs are fairly low maintenance. However, herbs grown in containers indoors will need routine watering and feeding. When your herbs are ready to harvest, trimming their heads is a great way to encourage new growth. Potted or Directly Into the Ground? Deciding whether you’re going to plant your herb in a pot or directly into the ground can be a difficult decision. Pots are great for mobility, making it easy to move your herbs into sunlight. Planting directly into the ground holds benefits too. There’s usually less maintenance involved as the frequency of manual watering and feeding is reduced. Ultimately, your decision should be made on a case by case basis. The type of herb you’ve chosen to plant should be the decisive factor. Potting would be wise if you have a herb such as basil, which only grows well outdoors during summer. In comparison, perennial herbs that require a little more stability, such as chives, suit being planted directly into the ground. When it’s time to harvest your herbs, you should aim to remove no more than a third of the foliage. This is key to helping with the recovery process. If you’ve got fast growing herbs and plenty to harvest, freezing is a great method of storage to avoid them spoiling.